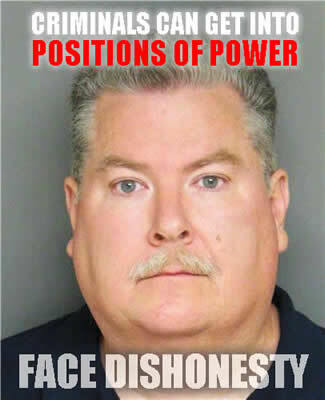 King City Police Chief Bruce Miller should never have made it to the position of Police Chief. Thus annual polygraphing of all law enforcement would have helped to stop the infection of an entire police department. The fact that American’s need to accept is that social-paths, criminals and psychopaths are experts and using dishonesty to work their way up the power ladder. Once in place they allow further crime and dishonest acts. People just don’t want to accept that someone who wears a badge and a uniform might in fact be the worst of criminals. 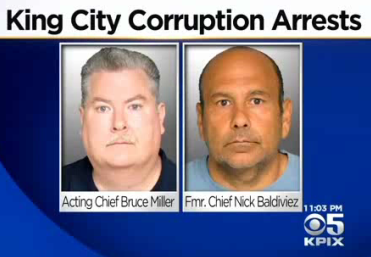 King City Police Officer Mario Mottu, Sr.
King City current police chief, the former police chief and several officers have been arrested over corruption. Nick Baldiviez, Bruce Miller and the officers are accused of deliberately towing the vehicles of Hispanic residents to a specific company. Then, they either sold or kept the vehicles and made a profit off the poor residents who could not afford the fees to get their cars back. Police often work together with dishonest lawyers and judges to commit crimes and use the system against the innocent. King City’s top law enforcers became lawbreakers when they orchestrated a scheme victimizing the most vulnerable residents in King City. King City police Officer Mario Mottu Sr.